The Ouimet Fund was founded in 1949, and is thrilled to celebrate its 70th anniversary this year. Since its founding, The Fund has awarded nearly $36 million in need-based scholarship assistance to over 5,900 young men and women. Ouimet Scholars have served at least two years as caddies or in pro shop or course superintendent operations in Massachusetts, and many have gone on to outstanding positions of leadership in business and professional careers. The Ouimet Fund is a 501 (c) (3) organization and is considered, "The Golf Charity of Massachusetts". This Auction is in conjunction with their 2019 Annual Banquet. The largest golf dinner in the United States, the Ouimet Banquet has become a fixture in the golf community, attracting over 1,200 guests each year! 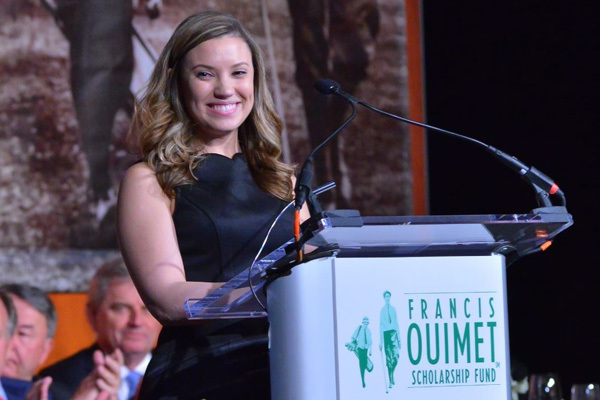 This major fundraising event is a key factor in The Fund’s ability to award need-based Ouimet Scholarships, which in 2019 will be $2.5 Million. It is always a special evening and a fantastic opportunity to hear from the Banquet Honorees, as well as the student speakers – who represent the thousands of Ouimet Scholar success stories. Past honorees include some of the most notable names in golf history, such as Arnold Palmer, Gene Sarazen, Ben Crenshaw, Eddie Lowery & Ken Venturi, Former President George H.W. Bush, Nancy Lopez, Greg Norman, Barbara & Jack Nicklaus, Gary Player, Tom Watson, Annika Sorenstam, Francis Ouimet, Brad Faxon, and most recently Jim Furyk. This year, The Fund could not be more excited to have the legendary Johnny Miller, a two-time major champion & winner of 25 PGA Tour events, as the Banquet Honoree. Johnny has also had a remarkable career as a broadcaster for NBC Sports, and has been a staple on golf broadcasts for decades.